​Manchester United manager Jose Mourinho has set his sights on bringing Napoli star Kalidou Koulibaly to Old Trafford within the next two transfer windows. United’s tough start to the season has been largely defined by inconsistencies and struggles for form, particularly in defence, where Mourinho has failed to identify a strong central defensive pairing. The issues at the back have led the Portuguese coach to weigh up potential targets ahead of the upcoming January transfer window. ​Napoli defender Koulibaly has apparently emerged as his number one target, according to the ​Mirror. It is said that Mourinho is determined to lure the commanding 27-year-old to the Theatre of Dreams as soon as possible, with a swoop for Koulibaly in the winter transfer window being prepared. However, with a move for the Senegalese international, who is one of the most highly rated centre backs in Europe, likely to prove costly, it is said that ​United may have to wait until next summer to get their man. The defender is apparently valued at £89m. "I want to write the story of Senegal football and I hope I will do this in the future." Koulibaly has established a formidable reputation as a colossal defender in Serie A, having starred for a Napoli side under new ​Chelsea boss Maurizio Sarri last term. The Senegalese was a key figure in Naples as his team pushed ​Juventus all the way for the Italian title, though they ultimately came up short as runners-up. Koulibaly has continued to be a rock at the back for the Italian giants since, though, and is now said to be interested in a move to the Premier League, with both Chelsea and ​Liverpool among his admirers. 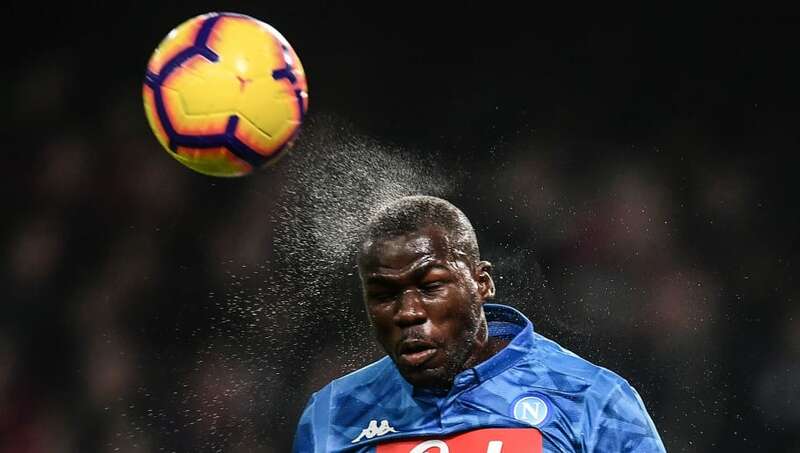 However, after conceding 21 goals in their first 12 Premier League games of the season, it is Manchester United who are apparently leading the chase to lure Koulibaly to England. Mourinho is said to be intent on reinforcing his defensive ranks, with Chris Smalling and Victor Lindelof having emerged as his first-choice centre back pairing this season. Though United kept a clean sheet during Saturday’s 0-0 draw at home to ​Crystal Palace, there remains a sense that Mourinho’s back line is not of the highest order and requires investment to take the Red Devils back to the top.